Applications are currently being accepted for the Fully Funded Türkiye Master’s & PhD Studies Scholarships Graduate Program In Turkey for the 2018 academic session. Eligible applicants are welcome to apply for this program. 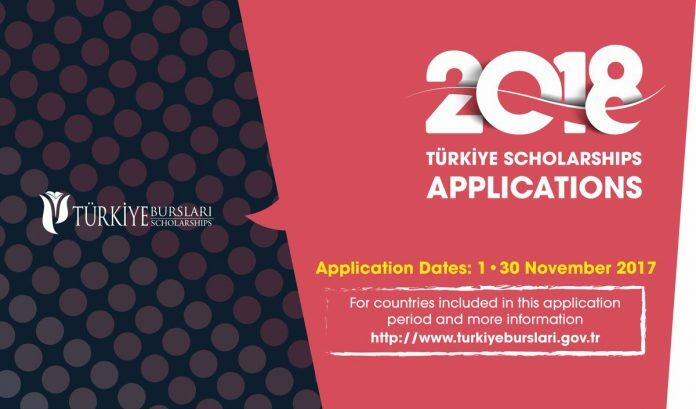 Applications for the 2018 Türkiye Scholarships will be open between 1st-30th November ,2017 for citizens of the following countries: Angola, Argentina, Australia, Botswana, Brazil,South Africa, South Korea, Kenya, Colombia, Costa Rica, Malaysia, Mauritius, Mozambique, Namibia, Paraguay, Peru, Rwanda, Singapore, Chile, Thailand, Uganda, Uruguay, New Zealand, Zambia, Zimbabwe. Candidates must not be older than 21 years of age for undergraduate degree, 30 years of age for Master’s degree and 35 years of age for Doctoral degree. Call Center at 0850 455 0982 or send an e-mail to [email protected].